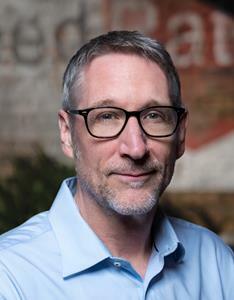 CHICAGO, March 12, 2019 (GLOBE NEWSWIRE) -- Guaranteed Rate, one of the largest retail mortgage lenders in the nation, has appointed Charley Wickman as Executive Creative Director. Guaranteed Rate appoints Charley Wickman as Executive Creative Director. “I look forward to collaborating with Charley as we communicate our differentiated value prop, while infusing the heart and soul of our entrepreneurial culture into our brand story,” said Guaranteed Rate Chief Marketing Officer Stephen Moffat. In this new position, Wickman will oversee creative, including design,copy and brand-building. Wickman comes to Guaranteed Rate with a decorated 25-year history as an award-winning Executive Creative Director for Leo Burnett, where he led numerous iconic brands like Firestone, Hallmark, Marshalls and Allstate, including the Mayhem campaign. Since 2000, Guaranteed Rate has delivered competitive pricing, mortgage products and unmatched expertise from its top-producing loan officers, helping thousands of customers move into their dream homes. The Company introduced the market’s first Digital Mortgage, creating an easy-to-understand, transparent loan process, which has led to an industry-leading customer satisfaction rating and exponential growth.